Abbott, the global healthcare company, unveiled its latest campaign in India aimed at inspiring people to live their lives to the fullest, despite the health challenges they may face. The campaign story focuses on how modern healthcare has helped people to push past possible to have a life full of rich experiences and fulfilling moments. One of Ontario's most iconic brands, Fallsview Casino Resort has just launched its latest television campaign. Building on the brand of humour that has become synonymous with Fallsview advertising, the campaign includes four 30-second TV spots that illustrate the distinctive lure of Fallsview. This year's campaign widens the aperture to be even more inclusive. The campaign continues to deliver its well-recognized humourous approach that is widely known and looked forward to year after year. A series of brand awareness ads, from Marketing Mix , Perth starting with the base character "Johnny Hu' a spoof of a renowned Western Australian automotive mogul John Hughes and his low-budget ads. The ads then transition into poorly replicating well-known West Australian TV commercials. This billboard from AT for liquor retailer Liquor Barons takes advantage of its position perched high up on a prominent CBD location with heavy foot traffic. Some people just can't stop themselves. That's why the new Golf 7 comes with Brake Assist. Skoda has today launched a new brand campaign, via DDB Sydney, that centres on the idea that you don't have to be famous to be brilliant. Featuring clever Australians doing amazing things, and doing them differently, the campaign challenges the normal car ad conventions. The last living Northern White Rhino cannot mate naturally so the Ol Pejeta Conservancy needed a source of funding for research into artificial reproductive techniques, to enable him to breed through Southern white Rhino surrogates. Ogilvy Africa has creaed this campaign dubbed"The World's Most Eligible Bachelor" a Tinder Profile where users could swipe right and donate to his cause. According to the Ministry of Social Development and Human Society, there are 321,063 people with a hearing impairment in Thailand (2016). BBDO Bangkok conducted a survey and found that 100% take out their hearing aid at night, with 35% of them stating they experience accidents at night because they cannot hear any sounds. Recognising the dangers hearing impaired people face in the night, BBDO Bangkok created 'Hearing Rescue' the world's first hearing aid that can transform into a wristband and alerts people to danger while they sleep. Developed from a normal hearing aid, the built-in sound recognition detects danger sounds and activates the vibrating function to alert the wearer. Shark Week is almost upon us which means "It's A Bad Week To Be A Seal" so donât miss all action Sunday July 23 at 7 pm on Discovery. Agency: AV Squad, LA. As automation takes over manufacturing jobs, a single mom chooses to adapt instead of being left behind. In this inspirational video, she finds the motivation to rise above her circumstances, reinvent herself with updated skills and become more relevant in today's workforce. "We Can Do It." Start your reinvention at University of Phoenix. Agency: 180 LA. Visit Sweden, Swedenâs official tourism board, has partnered with Airbnb to turn the entire country into an Airbnb listing. And the best part is - you donât have to officially book accommodation because all publicly owned land is entirely free and accessible to everyone! Every lake is your infinity pool, every mountaintop your granite terrace, every meadow becomes a garden and every forest a pantry filled with mushrooms and berries. Agency: Forsman & Bodenfors, Sweden. As all parents know, babies pee and poo all the time, anywhere, and in the most unexpected places. Many places are not the cleanest or safest places to change their diapers.For Bepanthen, the diaper rash cream from Bayer, we turned OOH posters into diaper changers, or "Poosters,"that could be laid on otherwise questionable countertops to create a sanitary space to change your baby.Pooster dispensers were placed at strategic points around the city of Sao Paulo. Made with anti-allergenic paper and ink, the Poosters featured Instagram-worthy illustrations that, with the babies placed on top, transformed the little ones into baby heroes, baby bees, baby angels, and more. A simple idea that increased brand experience and gave parents a reliable solution to tackle the unpredictability of dirty diapers. "3,4 million tons of food are wasted in colombian restaurants every year". Most of this food is safe to eat. The sad thing is that, while this happens, more than 40.000 homeless people across the country have nothing to eat. But what happen if we avoided this? Manzana Postobon, one of Colombia's best-selling soda drinks, asked its key accounts to change the normal placemats that go in the food trays for ones made from recycled materials which can be easily folded into a box. Tribal 121, Lima has given some of Peru's most well known traveler's their very own "Suitcase of Peru" to promote the country in airports around the world. Thousands of runners don't use the proper running shoes for their foot type. A print ad created for ASICS by the Brazilian agency Neogama uses a simple technology to help runners identify the right shoes for them. Using a thermochromic ink that reacts to the body heat, the FOOT TYPE TEST AD is able to determine the foot type of a person by showing clearly their footprint. All is needed is to stand on the magazine, over the determined area, to find out if the foot type is supinator (when the shoes wear themselves out on the outer area of the sole), pronator (wear themselves out on the inner area of the sole) or neutral (when the sole wears itself out uniformly). Johnson & Johnson launched the Band-Aid "Kaiteki-Plus" (loosely Comfort Plus) which was a superior adhesive bandage that was softer and so was barely noticeable to the wearer. So to demonstrate the new product's effectiveness, Band Aid launched an online film featuring, P-Nut, a renowned "finger-tutter", he applies Band Aid to all his finger joints and then proceeds to show off this dancing fingers in a series of fluid and intricate movements. You couldn't ask for a more dynamic product demo. Agency: BBDO Japan. Film created from the direction of art, as a sample of the style and way of working of the agency xose teiga, studio. As a statement of intent. 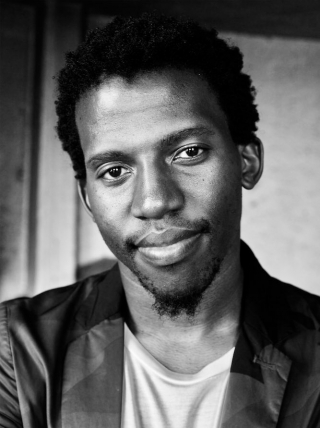 This week's guest judge is Nkanyezi Masango, creative director, King James, Cape Town. Interactive/Integrated are the most exciting by far this week. On the other end of the spectrum, Print is not quite dead, but if it's not fed meaningful insights immediately, the medium will easily die a premature death. One of the biggest mysteries about ALDI is how they manage to keep their prices so low across all their products. The latest 'Good Different' execution lifts the lid a little. In the 30-second Pasta Sauce TVC via BMF, we see a man and his son age 40 years while stuck in a fictional supermarket choosing between hundreds of pasta sauce varieties. It shows that when you shop at ALDI, not only do you save money, you don't waste your life choosing pasta sauce. Ikon Sydney, part of WPP AUNZ, has created a new advertising campaign for premium Casella Family Brands label, Peter Lehmann Wines. The first brand work for at least five years, the objective was to re-introduce Peter Lehmann Wines to consumers by celebrating the many hands of the Barossa community that are involved in making every bottle. The campaign,'It takes a village to raise a vintage', was brought to life by using the actual fingerprints of people who are part of the winemaking process. It's a project to replace the initial street names with local living personalities who had a crucial role in their community recent history.Italy has around 6000 small villages where everything speaks of the country identity and local life. In the face of president Trumpâs anti-Mexican stance during his campaign and subsequent rhetoric after his election, we decided to remind people of just how great Mexican food can be. Y&R South Africa did this by purposefully misinterpreting his (already often confusing and sometimes blatantly untrue) speeches and texts as being all about Mexican food. By subverting the truth (something Trump himself invented) we got to play on both his campaign promise of Make America Great Again and make it all about making Mexican Food Great Again, at his expense. Liquid-Plume doesn't just destroy the toughest clogs, it makes destroying them easy. So easy, that anyone can do it. Anyone can be a plumber. There's a Plumr in all of us. DROID Turbo 2 from Motorola is the first smartphone with a shatterproof screen. Drop Sales was designed to reach consumers while they were using mobile phones and tempt them to drop their phones to demonstrate the importance of the DROID Turbo 2's shatterproof screen. Agency: VML. The campaign titled "We Age" was done by Y&R Buenos Aires advertising agency for Sinteplast in Argentina. It was released in May 2017. Gui Ling Yuan Fang Herbal Tea offers relief from constipation. Although it is a common ailment that many suffer from, no one wants to refer to it directly. How can a tea brand that specializes in relieving occasional constipation make the topic less awkward? Enter Poophemism, a play on euphemisms. A series of humorous, whimsical phrases and accompanying illustrations that refer to the problem of constipation in an indirect, tongue in the cheek way thereby making light of an award topic. Instituto Bola Pra Frente is an NGO in Favela do Muquico, one of the most violent favelas in Rio de Janeiro. Their work is to keep kids away from drug trafficking through sports and education.Even so, there are parents who don't know about their work. And in this poor, crime-ridden community, conventional media is non-existent.We've transformed bullet holes scattered across the walls of the community into billboards for the Institute. The Yellow Cab Pizza app is so easy, it's like making pizza with your thumbs. And you can definitely use them to get great pizza.Since a lot of thumbs scroll through Facebook, it was the best place to launch a campaign on thumbs.With our thumb-stopping thumb videos, we surely stood out. Like a thumb.During the campaign period, 2.8 million people watched the ads.In less than a year, we reached more than 100,000 downloads on the Google Play store.